Battery backup is more of a concern in mobile devices and even Laptops too. This become more critical when you carry it out at schools or work most of the time. And question arises how can you maximize battery backup and last as long as it used to when it was new. 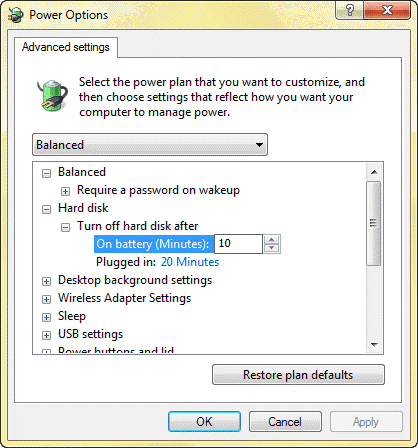 Here are some tips to boost battery of laptop and increase backup time and last longer without AC charging more often. 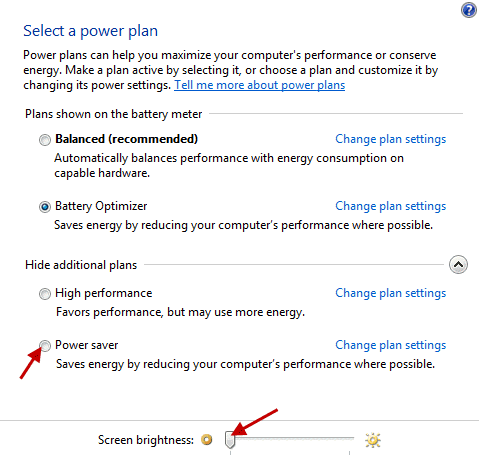 Display takes up most of the battery power so, unless working outside in sunlight,brightness should be extreme low (0%). This can be lowered from Power options in Control Panel or laptops come with function key to do that. Try to Turn of Laptop LCD Screen while listening songs or when away from Notebook. Not exactly useless but some programs start with windows and use Computer Processor. These are often used and not always. For example: On my Laptop, I noticed programs like Skype, Dropbox and Google Drive starting up without need. They keep using Processing power and hence battery juice. While testing some software tools to optimize laptop battery, I noticed that they stress on Wi-Fi connection. So, it is recommended to turn off Wi-Fi when you are not in network; this will save useless efforts by laptop to search for network. Also, it can be disabled even while in network for example watching movie or working on documents offline. If you are comfortable with touch-pad and do not use external USB mouse with laptop then disable USB ports. I bet you do not use optical CD/DVD Drives more often and for some, it might be never so, why keep it enabled uselessly? To do that, type “device manager” in start menu and press Enter. 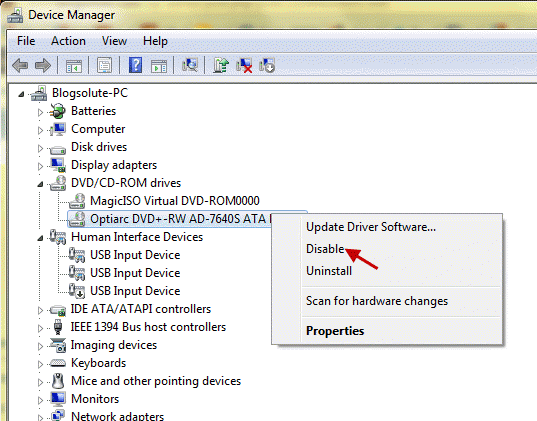 In Device Manager, find the optical drive and right click on it to disable. Same is applicable for any other peripheral device attached to your laptop. 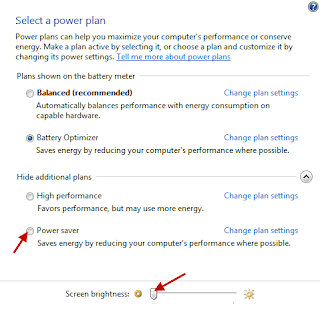 Use Power Saving Plans in Power options available under Windows Control Panel. From Advance Power Settings, you can customize the time as per required for various devices and processes. Try to keep it minimum. The calibration process basically involves first turning off your screensaver and other power management settings that put the computer to sleep. Then fully charge the laptop before letting it run all the way down until the computer shuts off automatically. Once the battery has fully drained, you can charge it back up again and restore your screensaver and power management settings. 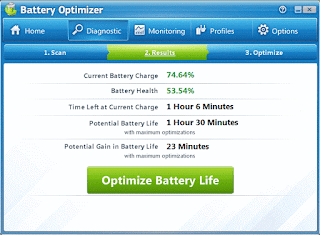 Battery Optimizer is a diagnostic and optimization tool for laptop’s battery which will analyze the capabilities and optimization options. It takes some time to analyze (say 10 minutes). 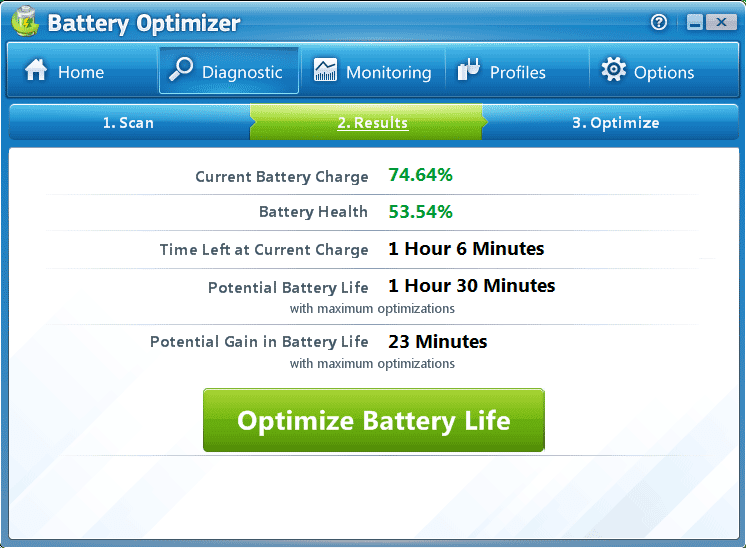 A chart is displayed after the diagnostic run which highlights how much battery life you will gain when you run the program’s optimizations. If you have optimized your laptop already for mobile use, you may not gain as much as when you are running the program on a factory default laptop. The more unnecessary features are enabled, the more you will gain from the optimizations. If battery heath is shown between 50-80% (Good) then you can recalibrate it and if it is below 25%, then its time to buy new battery. There are some useful software like Battery Care which can suggest when to calibrate laptop battery, BatteryInfoView which gives all detailed information related to Battery right from Manufacturer name to charging cycles and time duration. Should Laptop Be Always Plugged in AC Charging? Laptop batteries may last a little longer if you let them fully discharge occasionally as suggested on Telegraph. There’s no point in leaving the charger plugged in when you are not using the computer as even in this state it will be consuming a small amount of power. Lithium Ion laptop batteries typically last 3 or 4 years, whether you use them or not, maybe a little longer if you allow them to fully discharge once or twice a month. Hard Drive– More your laptop’s hard disk has to work, the more power it will have to use. Defragging the hard disk will reduce the time it takes to find files. Learn more Hard Disk Maintenance Tips to improve performance. 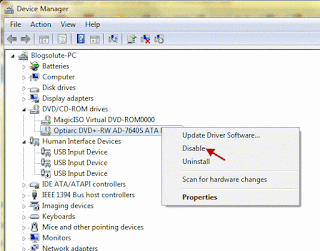 If possible upgrade to SSD, here’s how you can upgrade Laptop HDD to SSD. Operating System– Experience says that Windows 7 is till now offers maximum battery backup. On Ubuntu and other Linux Distros, backup time reduces to half. Cleaning– Try to clean the metal contacts on the battery and your laptop with a cotton swab and rubbing alcohol.